We live in a wide and wonderful country with a host of wacky regional food traditions, Redditors who figure out the most disgusting orders possible at major fast-food chains, and even some folks who willingly drink Malort. Within reason, we are and should be open-minded about other peoples' preferences. But there's a line. Put enough sweetened syrup in a single beverage, and you push reasonable standards of decency and moral action. 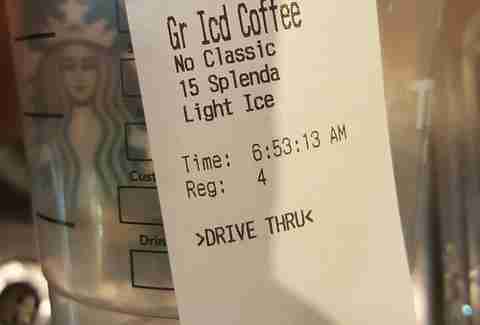 When you're pushing 10 packets of Splenda in a single iced coffee, who's to say when you become a monster? Terence Wiggins, who goes by @TheBlackNerd on Tumblr and Twitter, was a first-hand witness to these banal horrors every day as a Starbucks barista. In honor of his departure from the coffee juggernaut, he shared some of the most extreme offenses to human taste and civilization at large, as seen below. As an act of public service, we've highlighted some of the worst offenders. 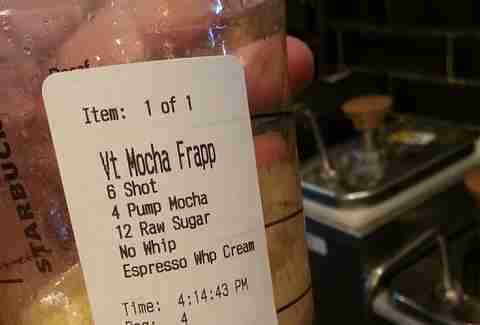 The addition of cream here presumably accentuates the sweeter notes of the 20 pumps of syrup. No amount of Splenda is going to fill whatever hole is in your heart, and it might actually make a new one. 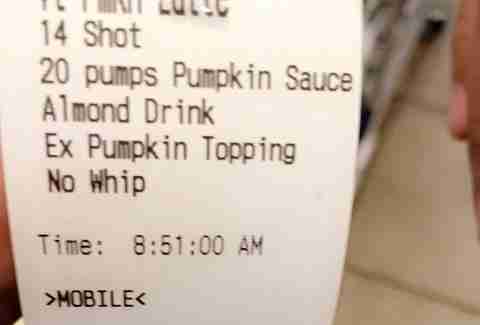 However you come down on the PSL craze, festiveness at a certain point becomes indistinguishable from insanity. Drinking this had to be like sucking wet sand through a straw. 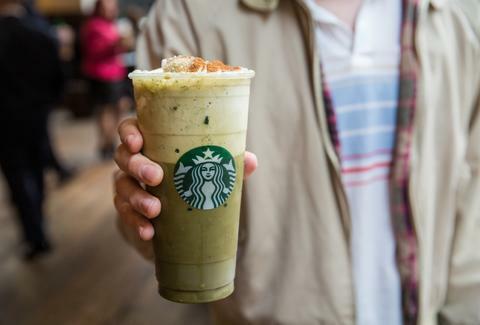 "Most people who order ridiculous drinks order by the mobile app and no one is ever embarrassed. Ever," Wiggins told Some News. "They just say something along the lines of, 'I like my drinks sweet.'" If this is what you enjoy, we can't stop you. We can only ask you to please have some shame. James Chrisman is a News Writer at Thrillist who has a modest coffee order. Send news tips to news@thrillist.com and follow him on Twitter @james_chrisman2.